Concerns are on the rise as changes in Mexico’s power market settle in. Market participants have begun to worry after Mexico’s power market operator CENACE published a lower year-on-year settlement price for the 2018 capacity market, also known as potencia, on 28 February. Thoughts of a slowdown in market growth raise questions about how the country’s market will evolve. 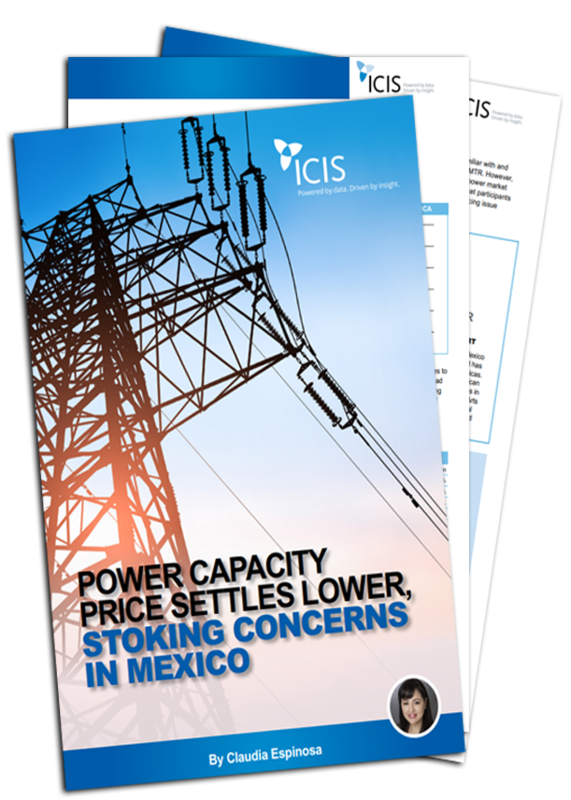 Download the insight by ICIS market expert Claudia Espinosa to find out what exactly Mexico’s power market could be up against. What is driving uncertainty in Mexico’s power market?